During the first four years as an internal Center of Excellence at Åbo Akademi University, the total number of publications from the group includes more than 100 peer-reviewed journal papers, four book chapters, 20 conference papers, two monographs, six PhD and 12 Master’s theses. A full list of publications is available here. Once a year, the research group also publishes a newsletter containing a summary of the events and news. These can be downloaded from here. 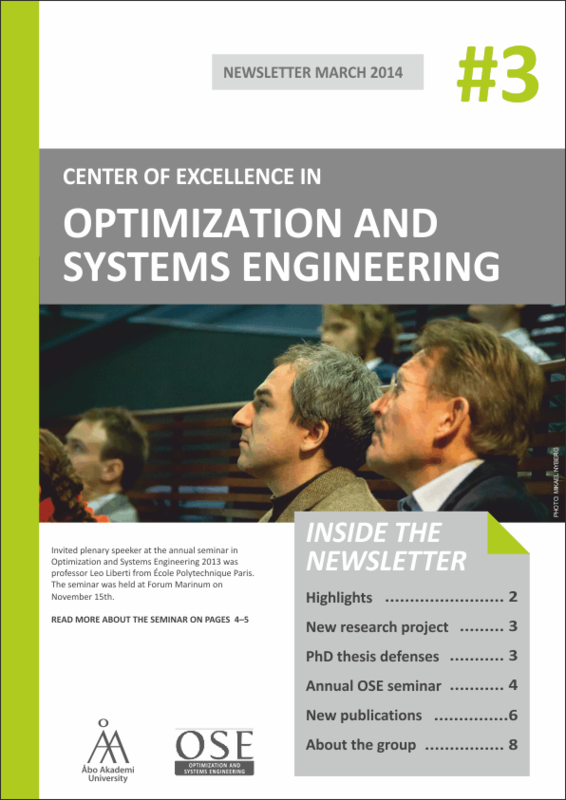 The third annual newsletter from the OSE research group. 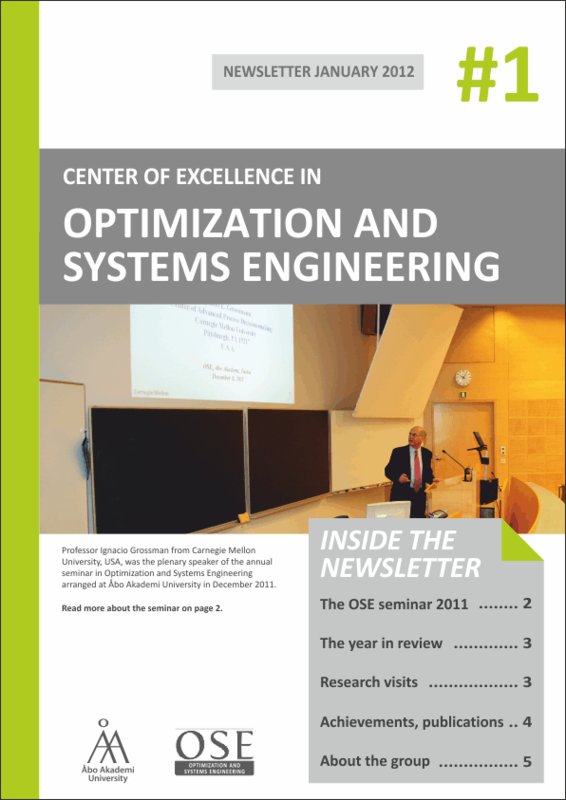 The second annual newsletter from the OSE research group. 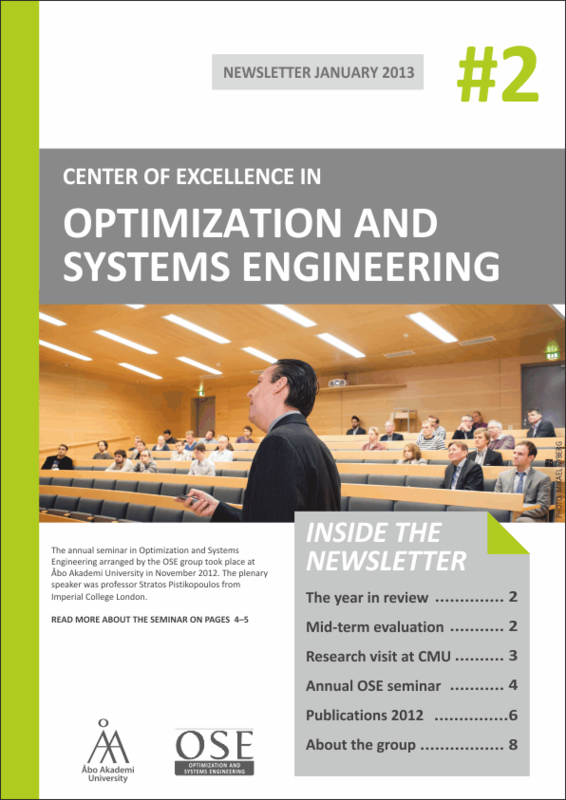 Report of the progress in the Center of Excellence in Optimization and Systems Engineering for the period January 1, 2010 - May 31, 2012.